A lavish use of stripes all around the outside edges brings depth and life to this design. The ornately tooled, multiple-ruled frame sets off the text inside it beautifully. A subtle, barely-there dotted texture creates even more depth and richness. Small embellishments of flowers adds an organic, living element to this geometrically beautiful style. Banners and ribbons accent some of the words, and the antique letter styles make this a most sophisticated, richly ornate style. 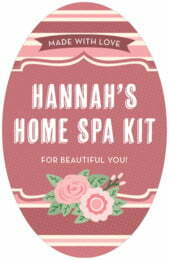 Customize your Bella Banded bath and body labels for all your business products including soap, lotion, perfume and more. 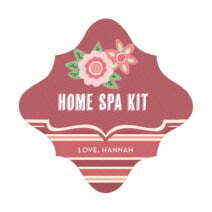 Bella Banded bath and body labels are printed on your choice of coated paper or waterproof vinyl. 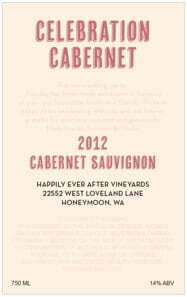 The colors on these labels are lusciously rich and images are sharp. They are very easy to apply. In the case of the vinyl labels option, they are also very easy to remove, and the square vinyl label shapes are even re-usable if applied to glass or metal. Just peel them off starting at a corner and pull slowly then save them for another time by putting them back on their carrier sheet. 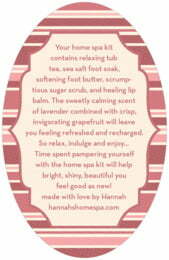 Evermine bath and body labels come in many different shapes and sizes, so they are perfect for many different types of products and containers. 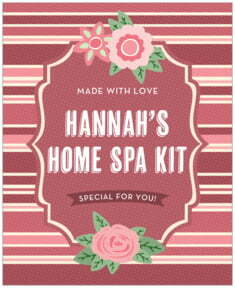 Choose from our wide assortment of shapes above to start personalizing your Bella Banded bath and body labels.